Making video calls while working is never so easy and cheap, as it is now. You have to invest in a good headset to connect with your peers and business partners. There are tools for those seeking corporate and trustworthy services that make video conferencing an Affordable application. 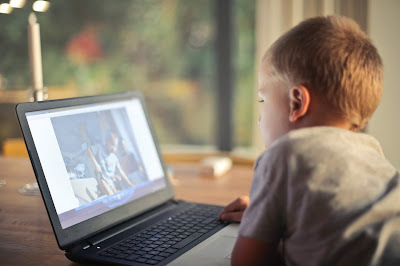 It is true that Skype is the most famous application for video calling, but one-to-one communication is easy if it does not have a third party line. Know about some apps that make video conferencing easy. This app allows you to work from anywhere in the world. In this lowest subscription, 15 participants support 25 participants in the highest subscription. This app lets you pick up a meeting or host a meeting from any phone or tablet. You can share full device screens with everyone in your meeting. You can easily control the presentation. You can attend meetings in a single tap. You can get alerts at the time of the meeting. You can see all incoming meetings and reports. Meetings are easy with the help of Hangouts Meet. Just have to setup a meeting and share the link. Do not be worried about whether teammates, clients or cusromers have an account or not. Multipurpose video calls can be made from Fast Interface and Smart Participant Management. If you are traveling and would like to organize a web meeting, conference call, whiteboard meeting or online meeting, ezTakls can prove to be a useful app for you. It allows you to share videos, documents, audio. When you integrate it with your company's portal, it can connect to 10 participants. Zoom Cloud allows meetings to stay connected from anywhere. When starting a meeting or joining it. You can meet up to 100 people with a clean and face-to-face video. There are high-resolution screen sharing in it. In this you only get audio or text based chat feature. It's Free Version Limited, but it works pretty well. Its interface is designed in such a way that you can do collaboration with the team and remote employees. Each team member can join the meeting by touching one on your mobile device. Even if you are away from the office, do not let the speed of your business work. The Cisco WebEx Meetings app lets you organize productive meetings from anywhere. This allows screen sharing, chat, and so on. It also facilitates meeting in a single tap. This can provide customizable video layouts. You can share meetings directly from the app.